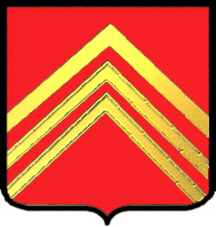 Coat of Arms: A red shield with three gold chevronels. 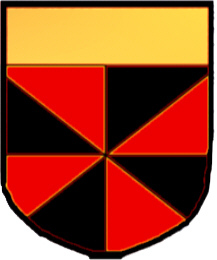 Crest: On a red escallop gules between two blue wings, a gold cross. Motto: Omne solum viro patria est. Motto Translated: Every country is a home for a man. 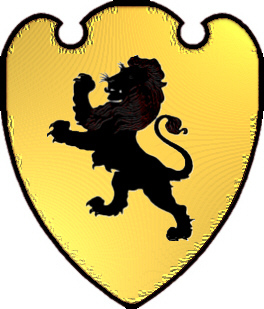 Coat of Arms: Gold with a black lion rampant. Crest: A moorcock on a mountain. Motto: Y fyn Duw a fydd. Motto Translated: What God wills, will be. 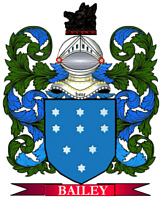 Coat of Arms: A shield divided gyronny of eight, red and black with a gold chief. Crest: A cross crosslet fitchee az. and palm branch in saltire vert. Spelling variations include: Matthew, Mathew, Mathow, Matthews, Matthewson and many more. First found in 1086 in the Domesday Book, where the name was listed as Mathiu and Matheus. Some of the first settlers of this name or some of its variants were: Samuel Mathew, who settled in East New Jersey in 1684. Elander Matthews settled in Virginia in 1719. Andrew Mathew was banished to a plantation on Martinque in 1747 after the Scottish defeat at the Battle of Culloden Moor. Other Scottish immigrants include George Matthew, who settled in St. John, New Brunswick between 1749 and 1800. Some of the first settlers of this name or some of its variants were: Francis Matthews, who settled in New Hampshire in 1639; Benjamin Mathews, who settled in Virginia in 1653; Ann Matthews, who immigrated to Barbados in 1659. (British). Possibly a modern form of the ancient Irish name "MacMahon".